London designer Amy Radcliff has succeeded in prototyping a camera of the future. 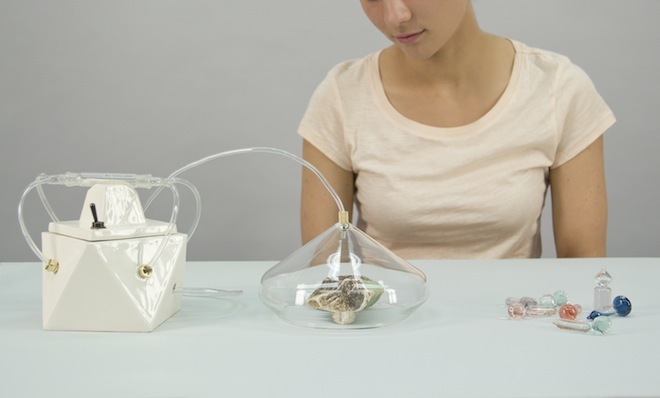 Her elegant device, coyly named Madeleine in a wink to Proust fans, uses headspace technology to capture, analyze and reproduce odor compositions of actual objects in small capsules. The product is as disposable as current-day visual captures. Though one – nearly – knows this to be a very elegantly put together rouse, how The Dandy wishes it could be true.